With Maps and Illustrations. Second Year of Publication. Denver: J. A. Blake & F. C. Willett, Publishers, 1872. Original gold-printed green-cloth covers; 136 pages. 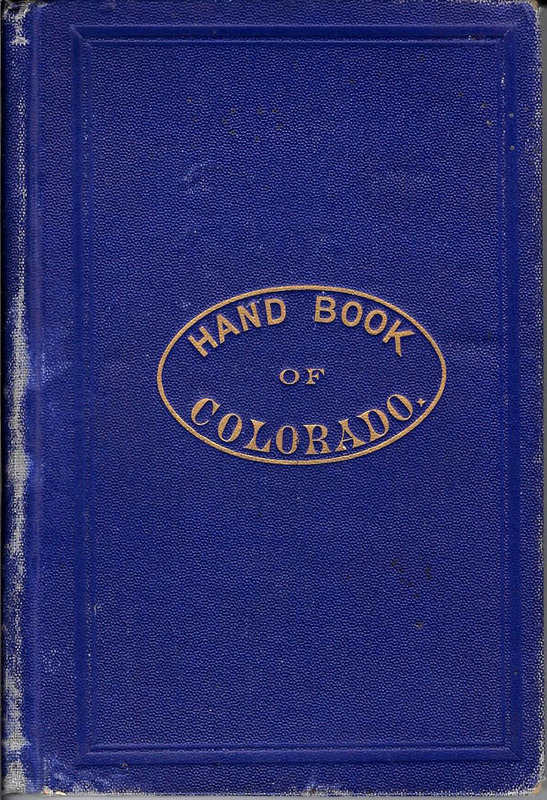 Index: Altitudes; Area; Arkansas Canon; Arvada; Arkansas Divide; Arapahoe; Banks; Black Hawk; Boulder; Boulder Canon; Breckenridge; Buckskin; Burlington; Canon City; Carlile Springs; Cardinal; Caribou; Census; Colorado City; Colonies; Central City; Colfax; Colorado Springs; Climate; Chicago Lake; Citadel; Clear Creek; Counties; Cottage Grove Park; Denver; Divide; Denver Industries; El Paso; Empire; Erie; Estes Park; Evans; Farming Facts; Fairplay; First View; Fort Collins; Fort Lyon; Florissant Valley; Golden; Georgetown; Green City; Gray's Peak; Green Lake; Greeley; Irrigation; Idaho Springs; Longmont; Manitou; Monument Park; Mines and Minerals; Newspapers; New Memphis; Periodicals; Peabody Springs; Pleasant Park; Post Offices; Pueblo; Resorts; Raton Peak; Railroads; South-Western Colony; Stage Guide; Stock-Raising; Sulphur Springs; Trinidad; Tonic Springs; Wages; plus maps. Inquire about more details and pricing. For Citizen and Traveler. Third Year of Publication. Denver, Col.: J. A. Blake & F. C. Willett, Publishers. Chain & Hardy, Wholesale Agents for Colorado. 1873. Original gold-printed green-cloth covers; 142 pages. 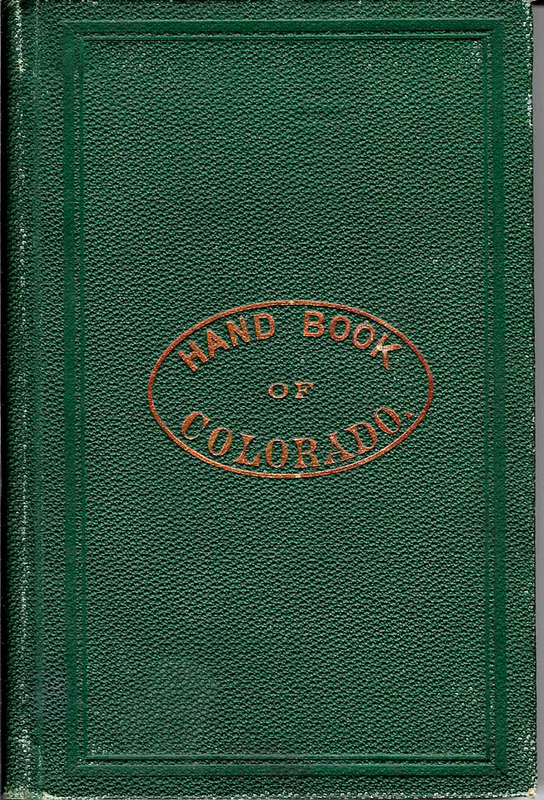 Index: Agriculture; Alma; Altitudes; Area; Arapahoe County; Arkansas County; Arkansas Canon; Arkansas Divide; Badito; Banks and Banking; Bent County; Bent's Fort; Black Hawk; Boulder; Boulder Canon; Boulder County; Breckenridge; Buckskin; Burlington; Canon City; Carlile Springs; Cardinal; Caribou; Citadel; Colorado City; Colonies; Central City; Colfax; Colorado Springs; Climate; Chicago Lakes; Clear Creek County; Conejos County; Costilla County; Counties; Cottage Grove Park; Denver; Del Norte; Douglas County; El Paso County; Empire; Erie; Estes Park; Evans; Fall River; Fairplay; Fort Collins; Fort Lyon; Florissant Valley; Fremont County; Frankstown; Golden; Georgetown; Green City; Gray's Peak; Greenwood County; Green Lake; Greeley; Gold Hill; Gilpin County; Hugo; Irrigation; Idaho Springs; Jamestown; Leading Industries; Littleton; Longmont; Lurkspur; La Porte; Las Animas City; Lumber; Manitou; Mines and Minerals; Nevada; Park County; Peabody Springs; Post Offices; Pueblo; Resorts; Saguache County; Summit County; Stock-Raising; Towns and Settlements; Traveler's Guide; Trinidad; Valmont; Wages; Ward; Weld County; Wet Mountain Valley. 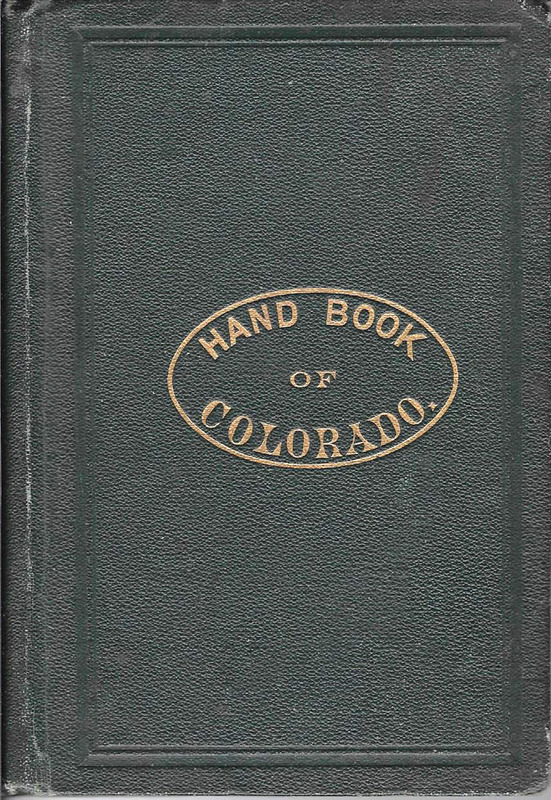 Illustrations: The Rocky Mountains from Denver; Group of Monuments in Monument Park; The Springs at Manitou. Maps: Golden and Its Surroundings; Boulder and Vicinity; Pueblo and Vicinity.